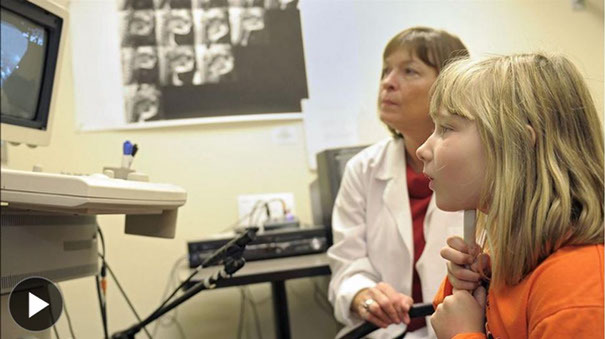 Speech sound disorder in childhood poses a barrier to academic and social participation, with potentially lifelong consequences for educational and occupational outcomes. Particular challenges are faced by children with residual speech errors, or atypical speech patterns that persist past 8-9 years of age. These errors, which frequently involve sounds like /r/ and /s/, may remain unchanged despite years of therapy. 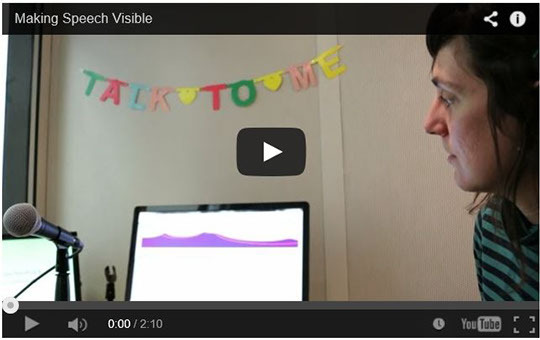 » In acoustic biofeedback therapy, learners view a real-time image of the acoustic signal of their speech, which they can attempt to match to a model representing correct production of the target sound. 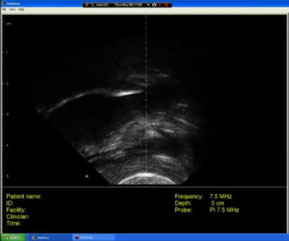 » In ultrasound biofeedback therapy, a learner can observe the shape and movements of their tongue in real time and attempt to match an ultrasound image of a correctly articulated target sound. Do you know an NYC-area child who has trouble with the /r/ sound? 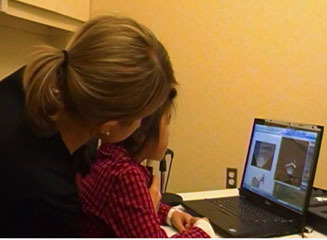 If you are a parent/caregiver or clinician/educator in the NYC area who would like to recommend a participant aged 9-15 for enrollment in our study of biofeedback treatment for /r/ errors, click here to learn more about our current projects. If you are a non-local clinician interested in supporting this research, read more about our app development project here.